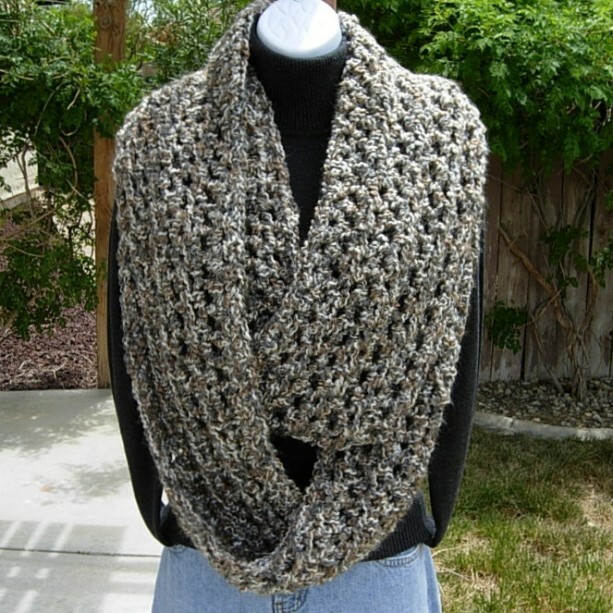 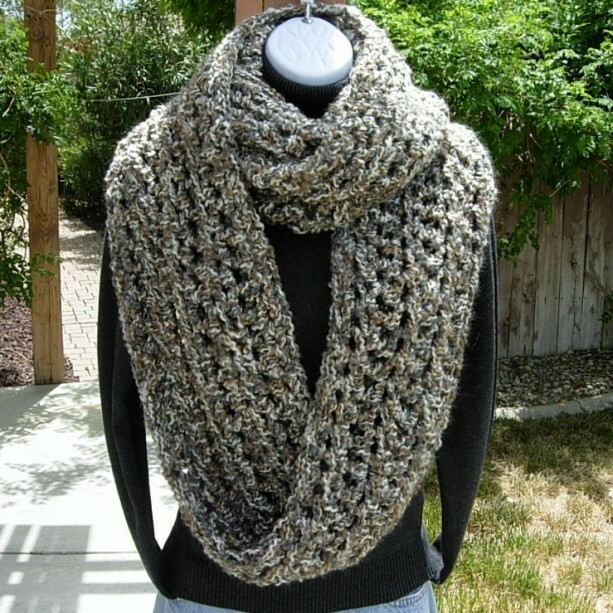 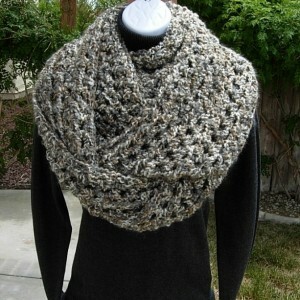 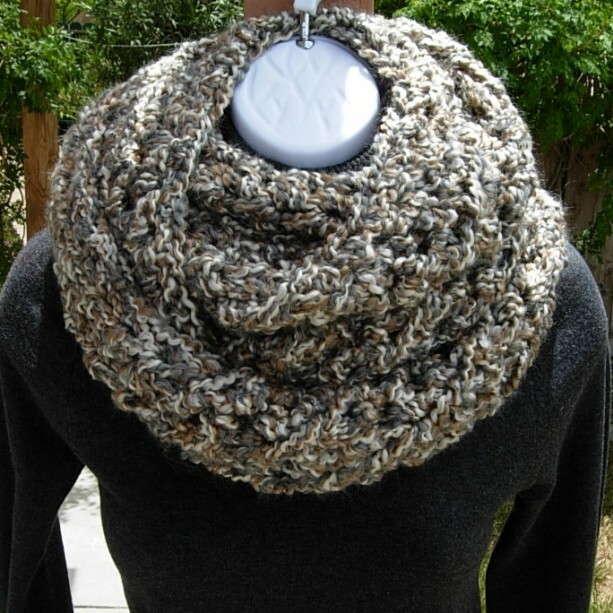 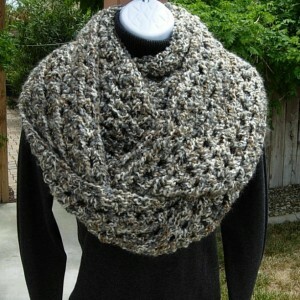 Extra large, wide, and thick bulky, chunky infinity scarf. 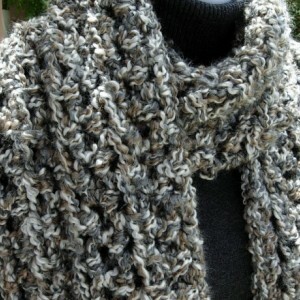 Hand-crocheted with Homespun yarn (98% acrylic, 2% polyester) which is very soft. 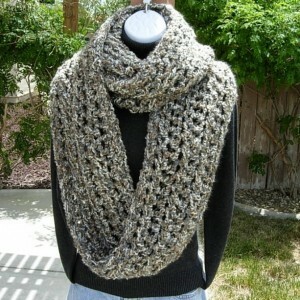 Can be looped two or three times. 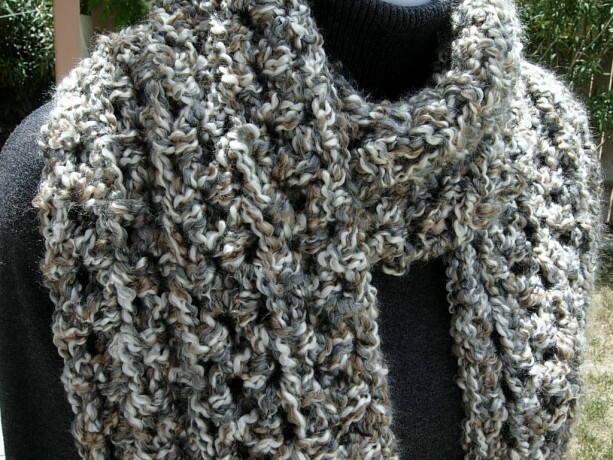 This is a very warm winter scarf. 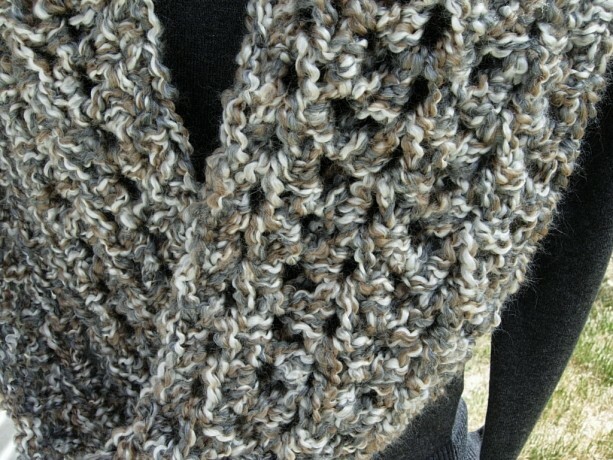 The color is called Shaker and includes off-white, medium brown, and medium gray. 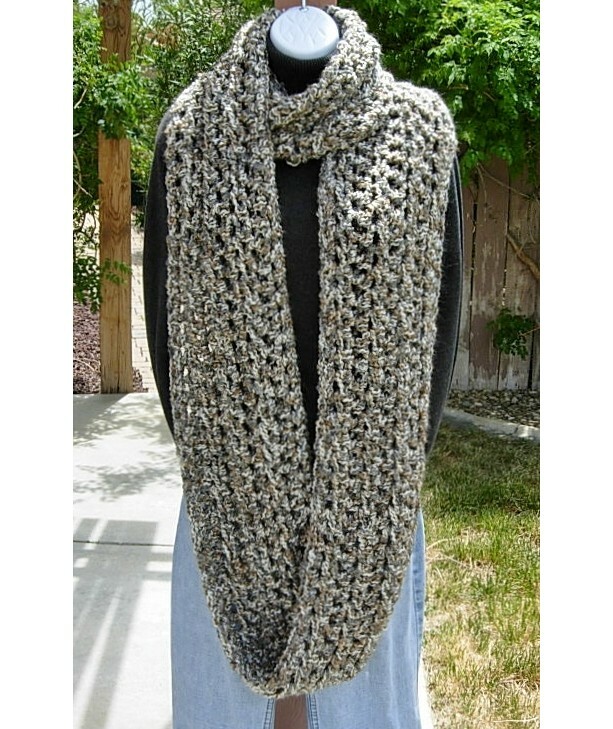 Because of the size of the scarf and it's made by crocheting with two strands, it is a bit heavier than the average scarf. 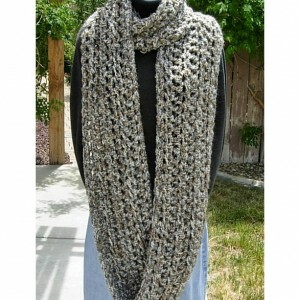 These scarves are made to order (crocheted after the purchase) and will normally ship in about five days after purchase. 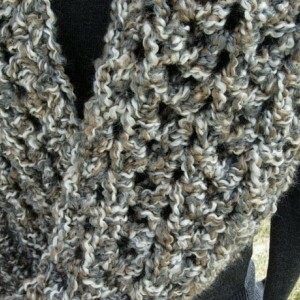 Can be machine-washed and dried, but I always recommend hand-washing to keep the yarn looking nice. 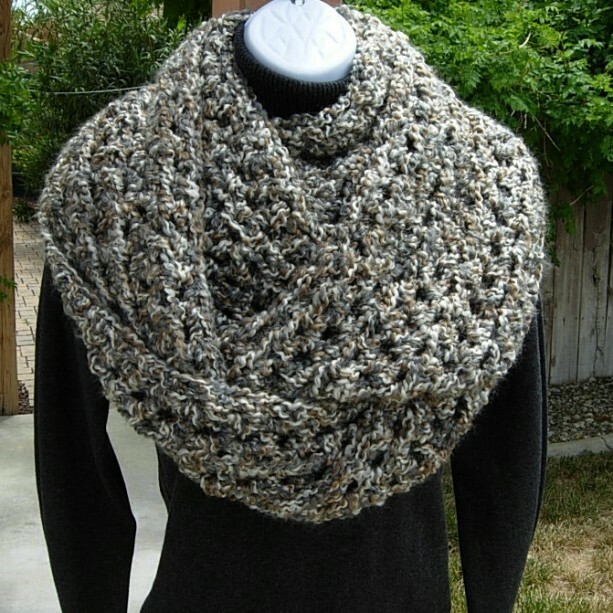 If hand-washing isn't an option, then using a mesh sweater bag and the gentlest wash cycle possible is the next best option. It's also best to lay the scarf flat and let it air-dry, but the yarn company does say it can be dried in the dryer on a low or medium setting. 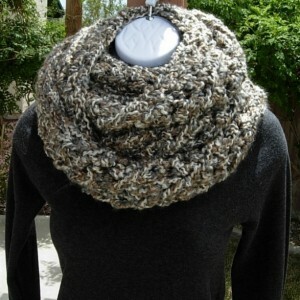 I accept PayPal for payment. If you have any questions, please ask and I will try to get back to you as soon as possible. (: I generally do not accept returns.